Kenny's Tile offers home remodeling services for your Mission, KS home. In the Mission area, you have a variety of options for flooring stores, but none match the selection and service we provide at Kenny's Tile. Just one visit to our showroom and you will find hardwood floors, home remodeling, carpeting, tile, stone, countertops, bathtubs, and more for remodeling your home. Whether you need installation of a new floor or repair to your existing surfaces at your Mission home, our professionals can assist you with making the home you currently own the home of your dreams. The experts at Kenny's can handle installations of hardwood floors, countertops, backsplashes, or tiles in your Mission, KS home. We have a team of installation experts who are not subcontracted laborers. Everyone who comes to your door representing us at Kenny's Tile works directly for us. This gives you peace of mind that the people you are inviting into your home for the installation of your tile, countertops, and hardwood floors have been installation professionals for years. Our service to our Mission customers is just the start. 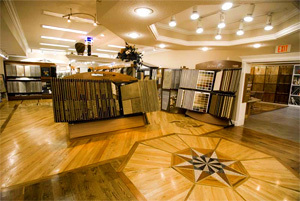 At Kenny's Tile our showroom features a large selection of materials for you to have installed in your home. If you are looking for marble countertops in your kitchen or want stone tiles in your bathroom, you can find it here at Kenny's Tile. Our showroom is just a short trip from Mission, and you can get everything you need for your home remodeling project there. At Kenny's Tile, we have been in the business serving Mission homes since 1954. We started as a family-run company, and we still hold those family values close today. As our customers, we will treat you like family. For our friendly customer service, huge selection of in-stock home materials, and superior installation and repair services, there is no better place for Mission residents to go for remodeling. Whatever you may need, you can find it here at Kenny's Tile for any Mission home remodeling project. Drop by our showroom today to see exactly what makes us great.